Story: The sequel to the 2003 horror hit, "28 Days Later." The creative team of Danny Boyle, Alex Garland, and Andrew Macdonald are back to re-invent the zombie movie yet again with the sequel to "28 Days Later." 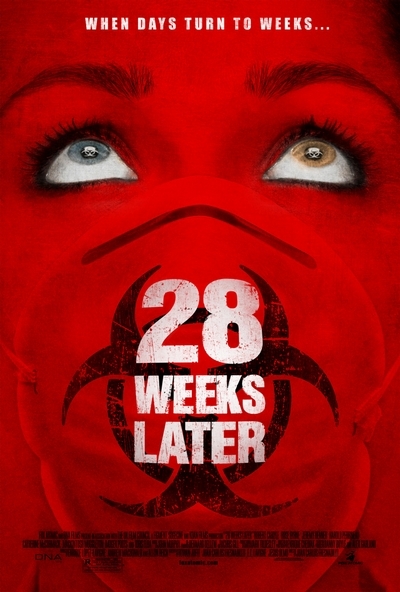 Lead by director Juan Carlos Fresnadillo, "28 Weeks Later" picks up six months after the Rage virus has decimated the city of London. The US Army has restored order and is repopulating the quarantined city, when a carrier of the Rage virus enters London and unknowingly re-ignites the spread of the deadly infection, wreaking havoc on the entire population.